Watching the Lyft IPO and its effect on the market has been fascinating. It was the first ride-hailing app to go public, which it did in late March. Initially, everything looked great. The company had ambitiously priced its IPO at $72 per share. Right after the launch, shares soared to $87.24. This meant that the company’s valuation was nearly $30 billion, a surprisingly huge amount. However, in just the short weeks since that launch, Lyft’s value has dropped considerably. In fact, the drop happened fast. Shares fell below IPO price by the second day of trading. By April 15th, they were down to just $56.57 per share. That’s a 27% decline from the close of the first day of trading. Moreover, it’s 35% below that opening price of $87.24. Watching this saga has everyone curious about what’s going to happen with all of the other big IPOs set to happen in 2019. In particular, market analysts can’t stop making predictions about Uber. What Will Happen When Uber Goes Public? Lyft beat competitor Uber to the public offering. However, Uber is poised for its launch. People everywhere are speculating on what will happen with Uber’s IPO. Moreover, there are diverse opinions about how Uber’s launch will affect Lyft’s value. Uber is a bigger company with about five times the revenue of Lyft. It’s expected to open to the public at about that same ratio, with a valuation of around $100 billion or about $95 per share. Most market analysts seem to expect Uber to follow a similar trajectory, starting off really strong but then fading quickly in terms of value share. However, some analysts are already coming out to say that Uber isn’t worth nearly as much as that projected launch number. CNBC reports that valuation expert Aswath Damodaran values the company at somewhere between $58 and $62 billion or between $51 and $54 per share. Moreover, initial investors may be more cautious after seeing the early days of Lyft’s IPO. Uber has a lot working against the company. They continue to face a variety of legal battles. Recently several women have come forward with frightening tales of sexual harassment/ assault from their drivers. 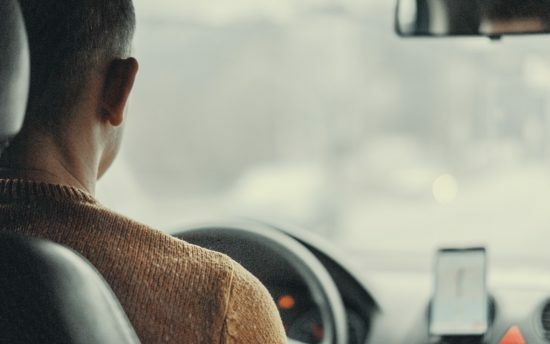 Moreover, they’ve reported that the only help the rideshare has given them is a $5 credit for the “trouble.” Uber tried hard to turn its image around with its new CEO, but it’s just not working quite as expected. Moreover, in addition to the legal troubles, Uber still isn’t a profitable company. What Will Happen to Lyft with Uber IPO? Lyft is a smaller company. It tends to have a better reputation than Uber, although it’s had its problems over time. The company recently had to pull many of its electric bikes out of service after reports of potential brake problems. That said, it’ll be interesting to see the effect that Uber’s IPO has on Lyft shares. Some people say that Lyft’s stocks may improve once Uber launches. It really depends on what Lyft does shortly and how the public perceives its changes. 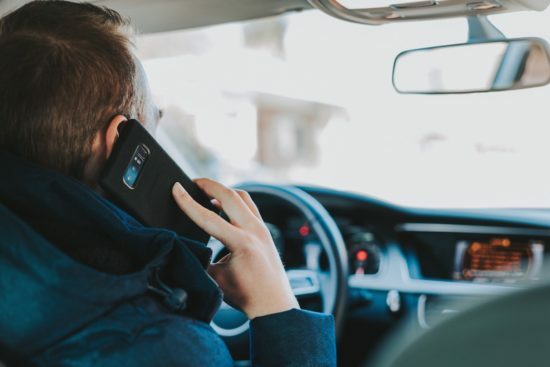 They’re expected to launch their version of Uber Eats, which could increase their value considerably. Likewise, they’re making headway with driverless cars, which may or may not lead to improved profitability in the future. It’s hard to say which company will dominate the industry in the years to come, even though Uber is the bigger company at this time. Therefore, if you have shares in Lyft, you just might want to hang on to them. Lyft and Uber drew a lot of attention for their public offerings this year. After all, they were in a race to go public first. They’re natural competitors in a market where no other similar competitors really exist, let alone have gone public. Therefore, all eyes have been on them. However, there are a lot of other big IPOs to watch for this year. 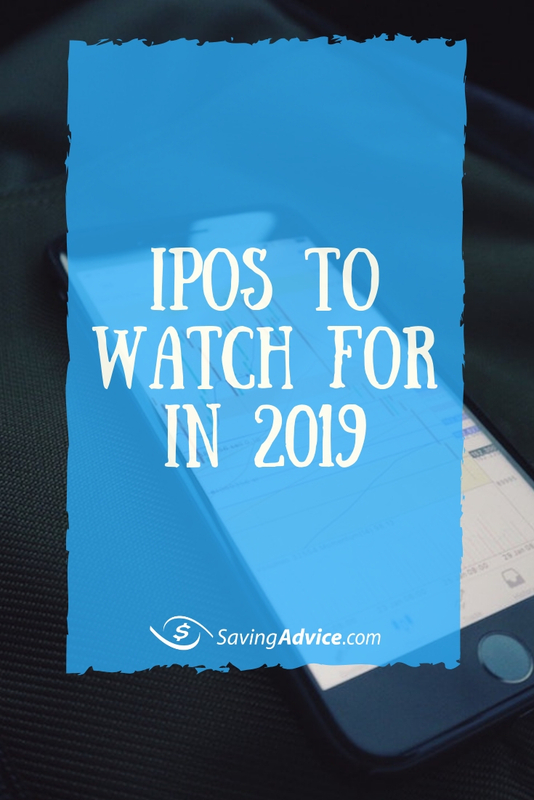 Although, with Lyft’s IPO struggles, along with other changes in the marketplace, there has been a delay of many of the IPOs anticipated for the year. In the frenzy of news about big companies going public in 2019, Airbnb was on everyone’s radar. However, as we have gotten a little bit further into the year, it’s become increasingly unclear whether or not they’ll have a 2019 IPO after all. Recode points out that the company hasn’t gotten any investment money in more than two years, which is a long time for a Silicon Valley startup. Therefore, interested investors have to carefully eye everything they can find out about the company’s financials. Airbnb recently sold common stock at a price that would value the company at about $35 billion. However, the share value is unclear if they go public. Forbes reports that Wealthfront CEO Andy Rachleff accepts a current market valuation of $31 billion for Airbnb. Nasdaq reports that Airbnb has made some key acquisitions in the buildup to their IPO. Nevertheless, the company says that while they may go public before year’s end, it doesn’t necessarily mean that they will do so. Therefore, this remains one to keep an eye on. If you work in the Bay Area, you’ve almost certainly used Slack to communicate with coworkers. Of course, people use it elsewhere as well, but it’s become particularly popular in the Bay Area. Email is out. Slack is in. So it’s no surprise that the company plans to go public. Slack isn’t planning the usual IPO though. Instead, they plan to directly list their shares on the New York Stock Exchange. It’s not a common approach for startups going public. However, Spotify successfully used this approach when they went public. Most likely, Slack will go public this summer. Bloomberg reports that in advance of that, investors are betting big on Slack’s value. During the company’s last fundraising round in August, the company had a value of approximately $7 billion. Investors are currently paying between $24 and $27 per share, which places valuation closer to $16 billion. Notably, high prices like that don’t always translate to a high value when the company goes public. Again, this will be an interesting one to watch. Pinterest is a popular company. In certain niches, if you don’t have a Pinterest account, then you can’t effectively market your business. However, The New York Times reports that the company is working to manage expectations in advance of going public. Pinterest conservatively priced shares at $15 – $17. This gives the company a valuation of around $11 billion. Peter Thiel is no stranger to making money from startups. His data mining company Palantir is no exception. Although it’s not as flashy as Airbnb or Uber in the public’s mind, it just might be the best IPO to invest in this year. For one thing, the company just won one of its biggest contracts ever, beating out Raytheon for an $800 million military contract. The company works with at least 12 differentl government agencies, which bodes well for its continuing value. Palantir is frequently listed with a valuation of $20 billion. However, that amount is from a 2015 funding round. It’s no small valuation, but Bloomberg reports that it could be less than half of the company’s actual valuation. That $41 billion valuation came even before the news about that huge military contract. 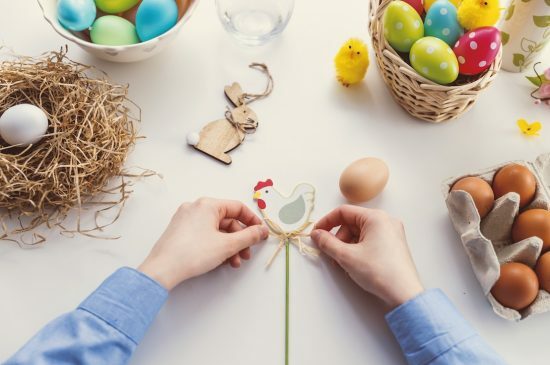 PagerDuty and Zoom are both going public before Easter. Stock-trading app Robinhood is looking good for a 2019 IPO. Postmates has increased marketing efforts in advance of a likely IPO. Beyond Meat is likely to be the first plant-based “meat” maker to go public. Dating app Bumble hopes to get an edge up on competitor Tinder by going public but has not set an IPO date. Cloudfire was expected to go public this year, but a new round of funding may push that back. WeWork was a highly anticipated 2019 IPO, but a big drop in value may delay them from going public. Warren Buffet Isn’t Buying Lyft IPO Stock. Should You? 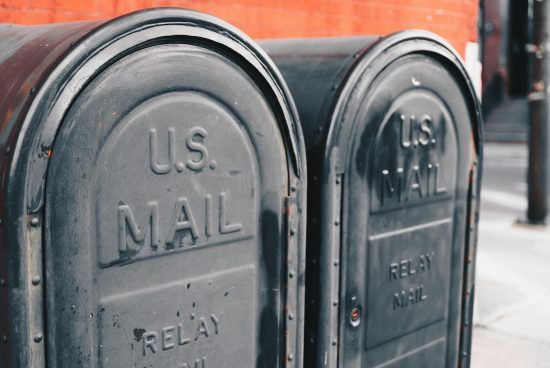 If you are out running errands then you might ask yourself, “does CVS sell stamps?” After all, if you don’t have to make a special trip to the post office to pick up stamps, then why would you? Save the time and gas or commute money and pick up the stamps where you already have to be for another errand. Even if you don’t have to go to CVS, there might be one on your route or near where you live. If that’s the case, then it’s helpful to know if CVS sells stamps. That way, when you need them, you know where you can easily get them. So, does CVS sell stamps? You probably already know what CVS is. It’s one of the largest, most popular pharmacy chains in the nation. There are stores all over the United States. In fact, in many cities, it can seem like there is a CVS on every corner. People obviously go to CVS to buy medication, since it is a pharmacy. However, CVS also sells all variety of other items that you might purchase at any modern drugstore. If you’re looking for toothpaste, lip balm, toilet paper, or snacks, you can probably get them at CVS. Yes, CVS does sell stamps. However, they do not sell single, loose stamps. They only sell books of stamps. Therefore, if you only need to get one stamp, then you probably want to make the extra trip to the post office for that. However, if you mail items frequently, then you can go ahead and easily pick up a book of stamps at CVS. A book of stamps holds 20 stamps. These are First Class stamps, which are the stamps that you would use to send a regular envelope through the mail. These stamps are often called Forever stamps, meaning that you can always use them to send First Class mail, even if postage rates increase over time. Therefore, you may decide to buy a book of stamps even if you don’t send mail very frequently. After all, the stamps don’t go bad. If you need a variety of stamps in different denominations, then you will want to go to a regular post office to get those. CVS only sells the First Class Forever stamps. For example, if you want to send out a bunch of postcards, then it would be better to get postcard stamps, which cost less than First Class stamps. CVS doesn’t sell postcard stamps. Similarly, if you want to get postage stamps with different designs on them, then CVS won’t be much help. The post office sells a variety of different First Class stamps with designs that change out seasonally. You can always choose from different styles at the post office. However, CVS generally only carries the basic Forever stamp, which is usually a US flag or a similar generic symbol. If you want stamps designed with flowers, famous people, or other inspiring images, you’ll have to get those at the post office instead of at CVS. Where Are Stamps Sold at CVS? There you are at the CVS store. You’ve picked your medication up at the pharmacy. You’ve browsed through all of the aisles to pick up the everyday items that you need. Now you just need to get that book of stamps. Where are they? You’ll need to go up to the cashier to get your stamps at CVS. When you get to the checkout counter, just ask the clerk working there for a book of stamps. They should have them at the ready. Most CVS stores keep their stamps in the cash register drawer so that cashiers can just open the drawer and pull out what you need. If you don’t regularly shop at CVS, then you might not know exactly where there’s one closest to you. Likewise, you could be traveling in an unfamiliar area and need to find a CVS nearby. Of course, you could always use Google Maps or another GPS to locate the CVS nearest to you. However, you might have better results if you use the Store Locator on the CVS website. Press “refine search” to open a second drop-down menu. Select “alternate location to buy stamps” in that drop down box. Enter your city or zip code in the specified box. Choose the radius to search; for example, select “within 20 miles” of your city. This will give you a list of places to buy stamps, in order of their distance. Scan the list to find the CVS closest to you. It will actually tell you there that the store sells “stamp booklets only.” This list will also give you other nearby locations where you can buy stamps. For example, a quick search within 20 miles of zip code 94115 pulls up Walgreens, Whole Foods Market, Staples, and Safeway in addition to the CVS locations that sell stamps. You can almost always buy stamps at any CVS store. However, there’s always the chance that for some reason your local store won’t have them. They may have run out and not restocked yet. Alternatively, they may not carry them regularly. If you get to a CVS store that doesn’t have stamps, ask to speak to a manager or customer service representative. They can let you know about their policies for selling stamps. If they restock, they can tell you when that will happen. If they don’t carry them, they can tell you the closest store that might. You can always call your local CVS in advance to ask if they sell stamps so that you don’t waste a trip to a store that doesn’t have them in stock. That said, this is rarely a problem. Can You Buy Stamps at the Grocery Store? Alexa is getting more and more helpful. She seems to understand our language a little bit better each and every day. You can do so much more than just say, “Alexa, turn on the lights.” Of course, it’s still kind of fun to ask Alexa to tell you a joke. However, you can use the tool for much more important things. For example, you can use Alexa to help with your taxes. She won’t do your taxes for you, yet. However, she can assist you with specific aspects of dealing with your taxes. You just need to know what to enable to make Alexa work for you. If you are wondering what your state income tax rates are, then you can ask Alexa by enabling this skill. You provide it with your state, year, filing status, and income. Alexa responds with your income tax rate. This gives you a good idea of approximately what you can expect to pay in taxes this year. Of course, you still have to do your taxes to find out exactly what you owe, but this is a good starting point. You have to do a lot of math when you’re filing your taxes. Why not let Alexa do that for you? You can ask her basic math information without enabling any special skills. Alternatively, you can enable My Calculator to supplement her basic knowledge. Although it’s helpful to use Alexa to do the math for you, you might want to double-check her work before you file. After all, Alexa is getting better at understanding us but she still sometimes seems to hear something completely different from what we said. “But Alexa said so,” is probably not going to be a good excuse if you mess up the math on your taxes. Enable this skill to receive a series of tax tips from a professional CPA. While it doesn’t allow you to ask specific questions and receive an answer, it does provide lots of helpful information. Once enabled, you can say, “Alexa, what’s my Flash Briefing?” That will launch your helpful tax tips session. This is also just a great way to bone up on tax information throughout the year. If you enable this skill, you can have Alexa update you with the latest news about the IRS, taxes, and related financial issues. The information comes from CNN’s RSS feed. As tax date nears, they publish many interesting articles that can be helpful as you prep your own taxes. “Alexa, tell me an IRS fact.” If you have enabled this skill, then you’ll have the opportunity to hear a series of random facts about the IRS. The truth is that this might not help you with your taxes in any practical way. However, you can use it to lighten the mood so that you don’t get overly stressed as you work on your taxes. Schedule period breaks as you work to ask for IRS facts. You might even ask Alexa to set a timer to remind you to take that IRS Facts break. If you filed your taxes with TurboTax you can ask Alexa questions about when you will get your refund. First, you’ll have to enable TurboTax in the skills section of the Alexa app. Then you’ll have to enter your TurboTax user ID and password and create a four-digit personal key. Then, you can ask Alexa questions about your tax refund. You might say, “Alexa, ask TurboTax when I will get my refund.” Alternatively, you can ask about the amount of the refund. Hopefully someday Alexa will actually be able to provide significant help with doing your taxes. Right now she can just do the above basic things. However, there are some great skills that you can use throughout the year to make your tax filing go more smoothly. This tool helps you track your business expenses so that you have them organized in one place. This is helpful for budgeting throughout the year. You can receive a daily, weekly, and monthly report. Then, come tax time, you have all of your potential deduction information in one place. If you try this skill and it doesn’t work for you for any reason, there are several other expense trackers that you can try. Track Expenses, Track My Expenses, Expense Manager, and Welto are each worth checking out. Find the one that works best for you then stick with it to make next year’s taxes easier. Donating to charity is a great thing to do. It may also help reduce your taxes. Enable Charity Navigator in Alexa. Then, throughout the year, say, “Alexa, I want to donate.” There are more than two dozen charities listed in this tool so you can easily donate to a cause that you care about. If you use Prudential for your retirement accounts you can do a lot with those accounts by enabling their skill via Alexa. Your retirement accounts play an important role in your income taxes, so staying on top of this throughout the year is beneficial when tax time comes around. You might also like to enable the One Minute Retirement Tip with Ashley to get tips about retirement throughout the year. If you’re like most people, you have a lot of tax questions. Sure, you know how to do the basic things when it comes to your taxes. But, you want to maximize your refund without making any mistakes. Therefore, a lot of questions come up. With tax time fast approaching, we wanted to make sure you have the answers to your top 10 tax questions. It makes sense to have questions when it comes to filing, especially if you’re wondering things like why your refund is smaller. Here are some of the most common tax questions and answers. 1. Do I Have To File Taxes? If you are 65 or older, then it affects the income requirement for filing. For example, if your filing status is “single” and you are under 65 then you must file taxes if your gross income was $12,000 or more. However, if you are over 65, then you can make up to $13,600 before you are required to file. The above chart is from IRS Publication 501. It shows you the basics of whether or not you need to file 2018 taxes. However, there are exceptions. For example, if you received $400 or more from self-employment or any amount at all from a Health Savings Account, then you need to file. Therefore, if you are considering not filing, you should review this publication in its entirety to make sure that’s okay. After all, if you are supposed to file but don’t then you might get charged penalty fees. 2. Should I Claim a Dependent on Taxes? One of the biggest recent tax changes was the elimination of personal exemptions for dependents. In other words, you used to get a certain amount of deduction per child or another dependent. However, that’s no longer the case. Nevertheless, if you have dependents, then you might still benefit from claiming them. You have at least one child who was age 16 or younger in 2018. The child has a valid SSN. 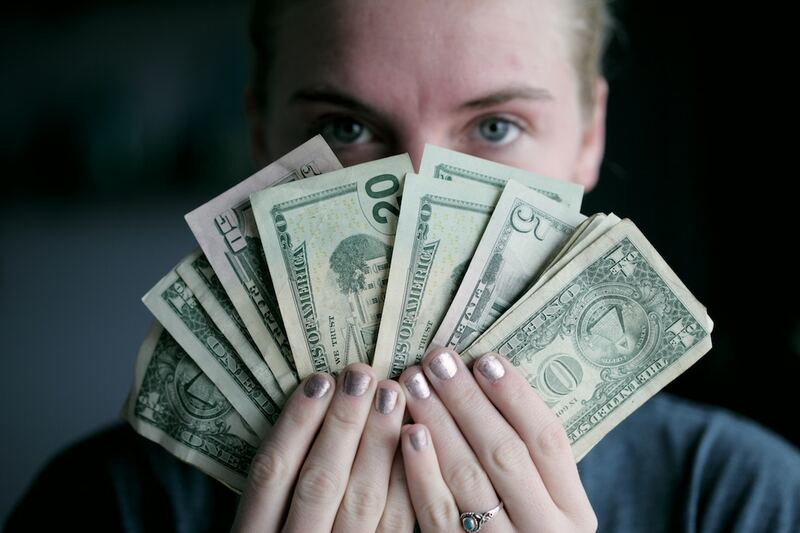 You earned at least $2500 in income in 2018. As a single taxpayer, you earned $200,000 or less. As a joint filing married taxpayer, you earned $400,000 or less. You can get $2000 per child from this credit. 3. Do I Qualify for the Earned Income Tax Credit? 4. I’m In School. Can I Claim an Education Credit? Each of these credits has its own requirements. For example, you need to be at least a half-time student in the first four years of college to qualify for the American Opportunity Credit. In contrast, the Lifetime Learning Credit is available to students at any stage of higher education who took at least one course in 2018. Therefore, if you’re a student, and you haven’t maxed out your credits, yet, then you might qualify for a credit or deduction. Review IRS form 8863 and Publication 970 for more details. 5. Should I Take the Standard Tax Deduction? You have the choice to take a standard tax deduction or to itemize your taxes. If you’re filing as single or married (filing separately) then the standard deduction for 2018 is $12,000. It’s twice that if you’re married, filing jointly. It’s $18,000 if you’re filing as head of household. Therefore, if your itemized amount is less than that, then you’ll want to take the standard deduction. Of course, the only way to determine that is to itemize and see the numbers. Tax software generally makes that process fairly quick and easy. However, if you’re not using tax software, and you want a quick guesstimate about whether or not to take the standard deduction, then one way is to check your mortgage interest deduction. Look at Form 1098, which is the Mortgage Interest Statement you should have received. If that amount is close to or higher than the standard tax deduction, then you should itemize for the biggest refund. 6. I Used to File 1040 EZ or 1040 A. What Should I Do This Year? There used to be three forms of the 1040 tax form, including the two mentioned. However, the rules have changed. Now you will just use form 1040. It’s the same form for everyone. It’s been redesigned to streamline the process. 7. Do I Need to File Any Schedules with My 1040? As mentioned above, everyone will file their taxes using Form 1040. However, if you meet certain circumstances, then you may need to file one or more of the following schedules in addition to that form. You may need to use this schedule if you have income in addition to your regular wages. For example, if you received alimony, rental income, or gambling winnings over a certain amount then you may need to use this form. Likewise, you may need to use this form if you made certain payments that affected your income. If you paid alimony, student loan interest, or deductible moving expenses then you use this form. You may be able to get certain credits using this form. They include the foreign tax credit, education credit, and home energy credits. You may owe additional taxes in certain instances, in which case you will add this schedule. For example, you’ll use it if you owe a self-employment tax or a retirement plan tax. You need to file this if you plan to claim a refundable tax credit except for certain ones including the earned income tax credit. You also need to file this if you are making a tax payment related to getting a tax extension. If you have a foreign address then you need to use this schedule. You also need to use it if you want to allow a third party to discuss your taxes with the IRS. The above situations are some, but not all, of the reasons to use each of those schedules. Review your taxes in depth to determine if you require any of these. 8. Are Social Security Benefits or Pension Taxable? Social Security benefits are taxable. It’s calculated based on your combined income which is your adjusted gross income plus half of your social security benefits plus any nontaxable interest. If that number is at least $25,000 (single) / $32,000 (married, filing jointly), then you owe taxes on your Social Security benefits. The exact amount varies depending on your income. If you have a pension, then it is likely to be taxable, too. There are some exceptions. For example, certain military pensions are partially or entirely non-taxable. If you received a 1099 for your pension then it will tell you the exact amount that is taxable for 2018. Check that for your personal information. If you made a withdrawal from your retirement plan, then that is probably taxable. For example, if you took money out of a 401(k) or an IRA in 2018 then you’re probably going to owe taxes on it. However, you only owe for the withdrawal. If you earned interest on those same accounts but did not make a withdrawal then you do not owe taxes on it at this time. 9. When Will I Get My Tax Refund? It typically takes 1-2 weeks for you to receive your tax refund. If you get direct deposit, which is the quickest option, then it should arrive in your account in approximately that amount of time after you file. If you request a check instead, then it should be mailed by then, and it will take another 3-7 days before it arrives in your mailbox. However, the closer you file to the April 15th deadline, the more likely it is that you’ll experience a delay. Moreover, if you have applied for either the Earned Income Tax Credit or the Child Tax Credit, then your refund may take a little longer. The IRS apparently reviews those two things more carefully than other tax form details. 10. How Can I Get More Tax Answers? One of the best places to ask your tax questions is through the Interactive Tax Assistant Search on the IRS.gov website. You aren’t connected to a live person, so you won’t get answers to detailed, rare-scenario questions. However, you can find answers to all of the most common tax questions through this tool. You’ll be able to enter your own specific information to get an answer that is right for you, rather than just a confusing general answer. What are your biggest tax questions? How Do You Get a Hold of a Live Person at IRS?